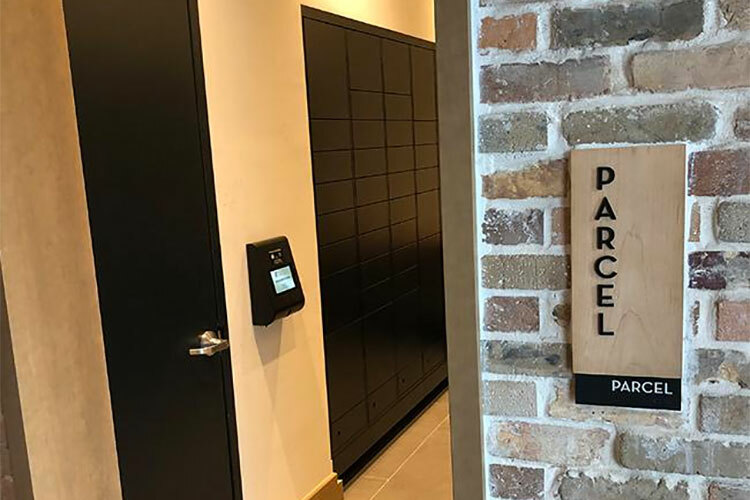 The Package Concierge® locker system is an innovative, safe and efficient way for residents to retrieve and ship packages 24/7. Properties receive an average of 50 packages per day requiring leasing staff to spend valuable time accepting, logging, organizing, storing, tracking, and notifying each resident. The Package Concierge® locker series provides easy access for all delivery carriers without requiring the assistance of leasing staff. We understand that not all properties are alike, and we are proud to offer a collection of Package Concierge® products that can be customized for any community. Choose from the Premier or Express Locker Series, or opt for our sleek package room technology. Our package management solutions are flexible and customizable, designed specifically for you. Quality matters. All Package Concierge products are made to order and built to last righ here in America. We offer a wide range of locker sizes, colors and innovative software enhancements to complement your community's aesthetic. In a hurry? No problem! With fast lead times and a national network of certified installers, we can get you up and running quickly. The Package Concierge Locker Configurator helps you design the perfect intelligent locker system layout to meet your project specifications. Whether you are installing in a residential or commercial setting, we've provided several options to fit your needs. Choose your product line, then use our drag-n-drop system to design your layout. At the end of the process, your locker system blueprint-style shop drawings will be emailed to you. Copyright © 1996–2019 AECinfo.com  Product presentation: information, news and documentation about Locker Solutions for Apartments.